Home Articles and Tutorials Time is money-manage your time wisely! Perhaps one of the most widespread issues of current generations is represented by the lack of the time management insights, which literally translates into low productivity, anger, stress or disappointments. Every successful webcam performer should be aware of the importance of time management. You can always increase your earnings as long as you have a fresh and sharp mind and as long as you prove a high level of inner energy and a high dose of positivity during a specifically defined schedule. 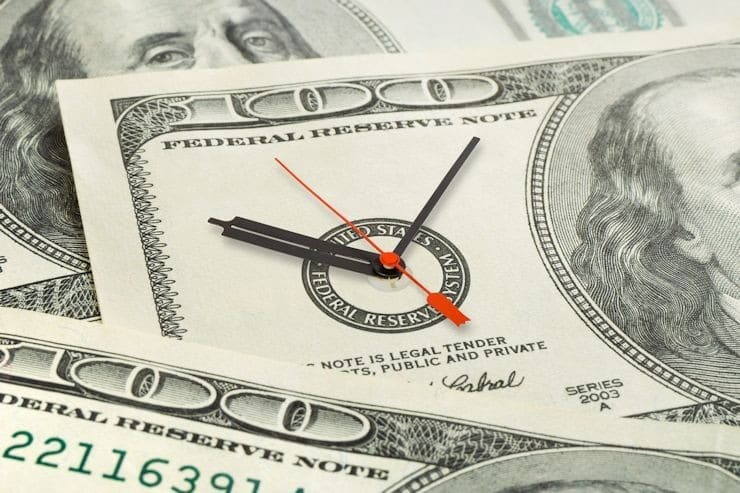 We all know the famous idiom “time is money” is absolutely true in each and every industry, but when it comes to camming we can boast that it fits even more. By far, one of the most important advantages of being a cam model is that you can be your own boss and make your own schedule which should enable you to come up with a large set of personal rules as well. As a consequence, it’s highly recommended that even from your first online day, you should pay attention to all the basic time management techniques in order to achieve the desired financial goals with ease, but at the same time to enjoy some of the free time too. You should start your camming activity with a very simple assessment of your daily performance and habits, thus based on what period of the day you are more active, you can set your live streaming intervals just to be energized, focused, inspired which will turn you into a gorgeous host. Some performers are fully operational in the middle of the night while others prefer to work when the sun is up which actually doesn’t make any difference, as long as they are fully focused on satisfying members’ desires and they commit perfectly to their online activity. In order to experience a perfect mix between your camming life and the personal one, you have to set a list of priorities or goals and focus on achieving them in a such manner that won’t negatively influence your activity as a cam girl or it will you give the impression that your personal life is at risk. Take enough time to scoop into your mind and write down the things you need to make for the next day, also analyze your previous day’s performance to discover on which aspects you can become more efficient! For instance, it can be highly recommended to plan shoppings and make-up sessions consecutively in the same morning, if you plan to stream during the daylight, rather than going to shoppings, getting online then having a break for hairstyle and returning on cam. This way you’ll spend a proper contentious amount of time in front of the cam, which will assure larger coverage of people and higher chances to earn peachy money, thus being way more efficient. Most of the people may think that being a cam girl is an easy job which is completely false! This myth has to be broken with a proper motivation and good time management skills. Depending on the schedule you made and your habits, you will be able to realize what are the most suitable hours for you. Always make a priority out of broadcasting during the peak hours, hence you should organize the other daily tasks in a such manner which enables you to stream during the most profitable hours. Another great and easy way to assure a better time management is to set a weekly strategy and to follow it very strictly. Your weekly strategy should clearly express the days when you are eager to perform and the average hours you’d like to spend on, moreover, there should be some spare time reserved for updating all your social media statuses, and in some cases, the time required to produce new content. All of the aforementioned aspects are vital for your business development and for your brand in general, which will doubtlessly increase your earnings if you treat them accordingly. Nobody can work continuously, thus it will be a great idea to add to your schedule some leisure activities, or at least to enjoy a short break which will cheer you up and revitalize yourself. Keeping yourself away from work even for a short period of time, can be very refreshing, and in the same time, it can have such a positive effect on your daily motivation, especially if you learn how to self-reward! You need to be aware that your schedule isn’t going to be entirely perfect from the first attempt, and it might be a chance that some unpredictable events will pop up, but even so, in order to achieve your goal, it extremely important to stick to your schedule as much as you can. Previous articleSexual fetishes are running the show! Next articleCan Amazon wish list reveal your identity as a cam model? Since I’ve began working as a male cam model I understood better the meaning of ‘time is money’. I oreder to be fresh and fully active on camera you need to know how to take care of you.